The brain is the most important part of our bodies. It’s the core that sets in function all of the systems, essentially turning our bodies into living factories. I mean, think about it, there are two organs whose theoretical failure can lead to instant death: the heart and the brain. But even in the case of the heart, this would be because once it stops working, blood no longer reaches the brain. In short, think of the brain as the power source of our lives. If it shuts down, everything else is shut down along with it. There is more to know about this insanely complex organ, so here are 12 Fascinating Facts About Your Brain. The brain of an average adult weights around 2.9 pounds (1,336 grams) in the case of men, and 2.6 pounds (1,198) in the case of women. 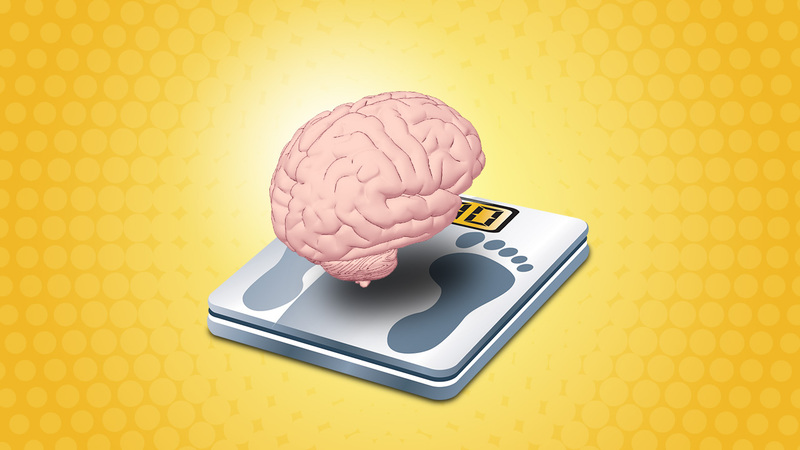 Contrary to popular belief, the scale of a brain doesn’t determine intelligence. The best example for this is Albert Einstein, whose brain weighted a below-average 2.7 pounds (1,230). When I said that brains are basically “power sources,” I didn’t know that this is a literal thing. Brains can generate enough energy to light up a 25-watt bulb. Please don’t try to charge your phone via brain electricity, though, I don’t think that’s good. Turn to a classic socket, instead! The brain is the only inanimate thing in the world that can contemplate itself. When you think about your brain, it’s actually the brain itself doing all the thinking. Trying to uncover the mysteries of the nervous system means that the brain is trying to find answers about itself. Does this sound awfully complicated? That’s because it is. Don’t overthink it, because it may lead to headaches. It’s not the brain that experiences pain when we have headaches or migraines. That’s because it’s been proven it’s only capable of feeling pleasure. The pain receptors are located in the meninges, which is what covers the brain. I guess that, in a way, you can say that brains are pretty much eternal optimists. Synesthesia is a condition that a small fraction of the world’s population experiences. Discovered in the 19th century, it refers to a bizarre capacity to do things like hearing colors, smelling words or projecting concepts in a spatial context. Many have associated this condition with trauma or degeneration, despite the fact that a lot of the people that experience it have done so since an early age. Even after all of the experiments and research that have been invested in studying the human brain, we still don’t know why we dream. Scientists have managed to come up with theories, indeed, but they all vary from one person to another. And when scientists can’t find a consensus regarding a certain phenomenon, this usually means that it has yet to be explained. Some say that dreams are a way through which the brain is kept stimulated while we sleep. Others say that this is the way through which memories are formed and stocked. Synesthesia isn’t the strange condition that can affect the brain. Prosopagnosia is the result the temporal lobes being damaged in one way or another. And, as studies have shown, temporal lobes are vital for recognizing and memorizing human faces. The 2.5 percent of the population who suffers from this condition is, therefore, unable to process facial recognition and stock human faces in their memories. Have you ever tried tickling yourself? If you have, then you may have noticed that you can’t actually do that. You can thank the cerebellum, the part of the brain responsible for locomotion, for this. University College London conducted a research, which showed that the cerebellum can naturally predict this movement, and is thus able to prevent a reaction. The brain is the busiest organ of our body, so it’s only natural that it requires a lot of fuel to properly function. Over twenty percent of the oxygen we inhale goes to the brain. This means that, when deprived of oxygen, the one that really has to suffer most is the brain. And I’m not talking about “no air at all” kind of depriving, but the one that’s just sufficient to keep us breathing, but not enough to help the brain function at its best capacity. You’ve probably heard of the infamous myth that claims humans only use ten percent of their brain capacity. It’s exactly what I said it is – a myth. The brain is the most active organ in our body, filled with living cells and neurons that constantly ensure no part of the brain is idly sitting by and fiddling its thumbs. In fact, it’s believed that it’s wrong simply trying to say that we “use” any percent of our brains. The development of a human brain only finishes around the age of twenty-five. Neuroscientist Sandra Aamodt talked about a little something called the “prefrontal cortex,” which is the part of the brain responsible for impulsive reactions. It reaches full maturity when we enter our mid-twenties, and until then, we are all as prone to risky behavior as a fifteen-year-old. Language processing has its own reserved space in the brain. Right handed people have shown to display more language processing in the left hemisphere of the brain while left-handed people often use both sides. While it’s true that language processing is an exclusive activity with its own quirks and neurological tasks, there is no such thing as a hemisphere that’s the center of it. The brain mostly works bilaterally, with creativity and intelligence being scattered unevenly along the brain lines. If after reading this you’re tempted to think that the brain is a really awesome organ, then think about who’s telling you that. Yes, we’re back to the “brains can contemplate themselves” bit, because it’s simply insane. No kind of computer could surpass the complexity of the human brain, which stretches way beyond these 12 Fascinating Facts About Your Brain.